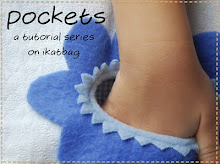 ikat bag: We Have Winners (and Answers)! We Have Winners (and Answers)! 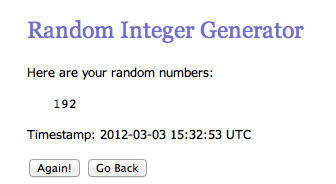 Two winners for the Singapore/Bento USA Giveaway! I wish I could have sent packages out to every one of you - thank you for sharing your wanderlust dreams with me. It was better than reading a travel guide! I now have plenty of ideas for holidays - assuming I get really rich, I mean. wins the Bento USA package! Congratulations, you both! Please check your email inbox for an email from me! I loved, loved, loved reading all 250 comments and learning about where you all hail from (and want to go)! Quite a few of you want to go to Japan because of the publicity from this modern craft movement. And so many want to revisit countries they once lived in, or see new ones whose language they've learned and whose culture they've fallen in love with. And some want to see family in other countries. And so many want to go to places simply for the sheer beauty of them. Me, I want to get on a space shuttle and see Mars. Or the moon. Always wanted to. But, well- there are limited vacancies for that, right? I'll settle for an airplane and the Blue Hole of Belize, to dive. Someday. And Europe. And Africa. And even Wisconsin, really. Good old planet Earth - so many beautiful parts to visit. Did I ever share that my parents-in-law took my husband (he was 10) and his brother on a half-year trip around the world? Yes, all around the whole world - countries that were safe and those that weren't. Even Singapore! I am envious just thinking about it. They're still talking about it and looking at photos and slides from that trip today. Just last week, I was looking at some old photos they took of Singapore - this was from the mid-80s. Fun. And now for some of your questions - I couldn't answer them in the comments, not without messing up the (already absent) numbering system, I mean. So I waited till now. 1 How do you sew that kaftan blouse (that Jen made)? You'll have to ask Jen that! 2 Where did you buy the polka dot webbing? Daiso. It was a gift, but they were from there. There are a few outlets in Singapore. Google it to find out where. Please note that Daiso's stock changes from time to time. 3 Textile Center -where is that? It's on Jalan Sultan (that's the name of the street/road). Or, more accurately, it's on the intersection of Jalan Sultan and Crawford Street. You can get there by train. Take the train to Lavender station and walk behind the ICA (that's the Immigration building) across the big canal to Crawford Center and ask for directions. Everyone there will know it. If I remember right, it might be closed on Sundays, so check first. 4 Chalk Markers - where can I get them? 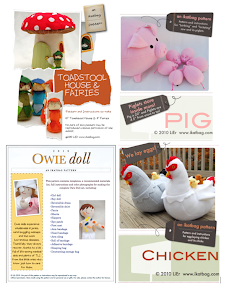 You can buy them here in the US, too - I saw them at Mill End Textiles for US$6. They're called Chalk Wheels. I almost don't dare ask, but have you found AxMan surplus? There is one in St Paul on University and one in Fridley, just off of 65. It's a good place to find your electronic bits and pieces. It can be habit forming! Have you seen the rafflecopter widget? It is great for giveaways and it makes it very user friendly for entries. 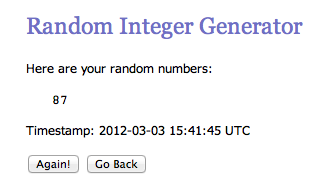 I believe it even generates a random winner as well. Oh, by the way, I saw you were featured in Family Fun magazine and was totally excited! Congrats! Just have to tell you -- Houston TX has a Daiso-type store in our "Chinatown" area called FIT. Most things were $2 each unless market otherwise. I took the kids there this weekend and they had a blast looking at all the neat stuff! We picked up a couple small (cheap!) bento boxes for them, some prepackaged craft kits to sew toy sushi, as well as a couple of coloring books. Very neat store -- in interest AND in cleanliness! If you're ever in the Houston area, look me up and I'll point you in the right direction.